1M + Closed circuit + Pro Driver = find yourself the nearest dealer! Chick whip. Period. It’s in the same class as the Miata, Paseo, that kompressor, vw beetle, mini cooper, X3. Women can argue what makes a girl car a girl car? I dunno the ones that look cute in red. I really have nothing to substantiate this claim other than I see a lot of women driving these types of vehicles while BBMing their BFF. If your car comes with flowers like I assume this Beemer does, it’s a chick whip. If I offended any xtra medium, V neck T-shirt wearing dudes who may be driving any of the above mentioned autos…I’m sorry, if you got your capris in a bunch. Bahahah! Cant really argue with that! However its way more powerful than any of the above mentioned chick rides. I personally wouldnt buy one, but I would drive one like I stole it! A man could drive it. 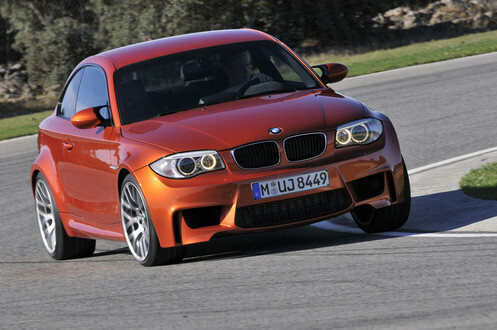 It doesn’t look as good as the M3 though. It kinda looks like a dwarf dolphin, or short a guy with a huge forehead and r receding hairline.